Choose your perfect private London guided tour from the options below - we can fully customise your tour. 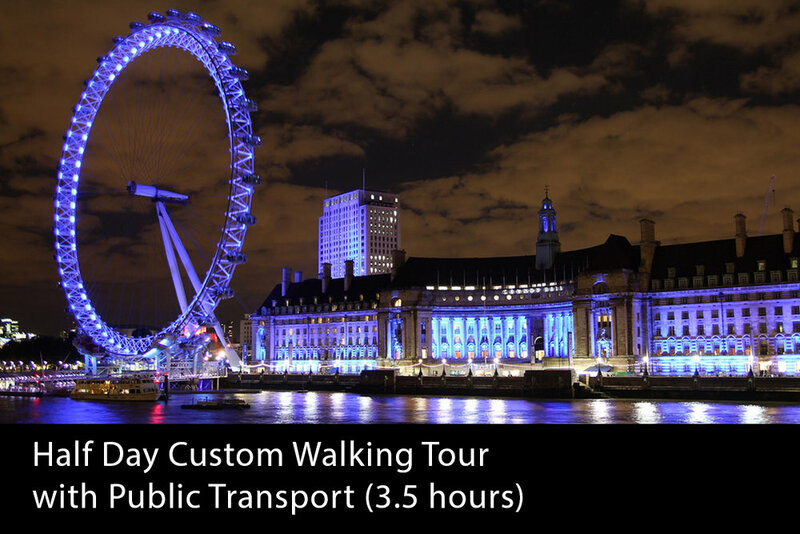 Private London Tours creates incredible visits to London with guided walks and chauffeur driven tours. Too many visitors miss the city's culture, its people, and hidden gems on every corner. Private London Tours changes that with high-quality, private tours of London. Taste and sample your way through Borough Market. Stroll through Hyde Park and Kensington Gardens. Discover the Princess Diana Memorial and see Kensington Palace. Cruise on the River Thames. Visit the affluent neighbourhoods of Mayfair, Kensington, Knightsbridge and Notting Hill. Get an insight into these quiet and protected areas on a tour. A Highlights Tour of London could include Buckingham Palace, Big Ben and the Houses of Parliament, Westminster Abbey, Trafalgar Square, London Eye, St. Paul's Cathedral, Tower Bridge and the Tower of London. Venture outside central London, climbing the hill at Greenwich for a fantastic view, tour Canary Wharf, London's bustling financial district, or other locations. Drink in an authentic London pub dating back over 300 years. Your tour is 100% bespoke. Private London Tours offers a concierge service. As well as the tour, we can help with your whole trip: tickets to the sights, theatre seats, airport transfers and more. We also cater to accessibility and dietary requirements. Please note our tours do not include interior visits of the sights - you will see these from the outside, getting their stories, history and photos. We cater for individuals, couples, families and groups. We also do themed tours, in the past we have done: WW2 London tours, Princess Diana, Royal Family tours, Secret London tours and many others. NEW FOR 2019: Back by popular demand is our small group London walking tour, where you can see the city's highlights in just 4 hours on a small group tour with a maximum of 10 guests. Please email us for new tour enquiries and customer support. Our website lets you see live availability before booking. In the case your preferred date(s) show as unavailable, please email us so we may attempt to open up additional availability. Please note we do not run tours on Christmas Day.